was built in 1988, it is a modern factory specialized in producing the disposable medical appliances in china. The factory is only 1km to Hengshan entrance of Huning high-speed road and is about 20 miles to Changzhou airport. The area of the factory is 40000m 2 , the area of purifying workshop is 7000m 2 , and fixed assets are about 5,000,000USD. High Hope Int'l Group Jiangsu Medicines & Health Products Imp. & Exp. Corp., Ltd.
Our professional sales team can provide you good, circumspect services at any time. With strict quality assurance system, rich professional experiences and well-trained staff. And it is one of the biggest manufacturer to produce, process medical disposables in China. 3. The tension of pulling the needle into the bareel is less than 20N. by the end of bulk production we send shipping sample for your approval. 6th. after receiving the balance, we arrange the shipment upon your request . 8th. 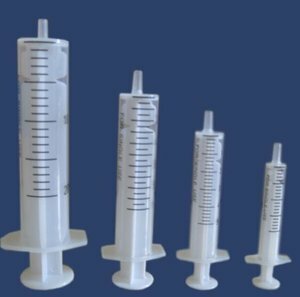 1.Sterilized by EO gas , Non-toxic ,non-pyrogenic ,single use only 2.Luer lock or luer slip 3.Sufficiently transparent barrel allows easy measurement 4.Graduated scale on the barrel is easy to read . Graduation is printed by indelible ink 5.Material for barrel:medical grade pp 6.Material for plunger :medical grade PP 7.With or without needle 8.Individual package :blister bag or PE bag 9.Available size : see the table bellow. Luer slip 2-part type Disable syringes with needles , EO gas sterile, polybag or blister Code No. 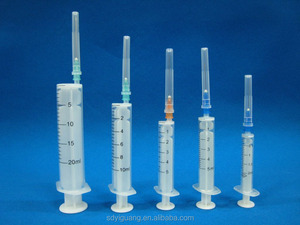 : Syringe-3 Consist of: Barrel, Plunger, Cannula, Needle hub, Needle protector, Lubricant, Graduation, Blister or Plastic bag. Material: Barrel-Made of medical, transparent Polypropylene with plunger stopped ring. Wenzhou Wuzhou Group Co., Ltd.
3.Standard piston: Made of natural rubber with two retaining rings. 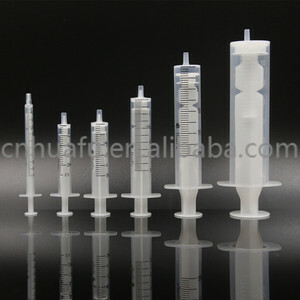 5.Needle adapter: Made of medical grade PVC . 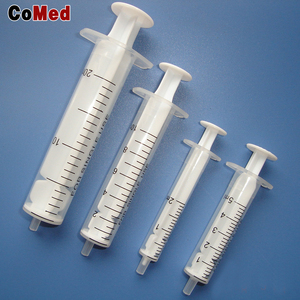 6.Needle protector: Made of medical grade transparent PVC or PE. We have advanced completed equipments,including injection molding machine and all kinds of tube drawing machine,which are of high quality. We promise to provide first-rate products and satisfying service to customers by adhering to a continuously improving quality concept and standards. We look forward to working with you,helping patients and their familes all over the world. Changzhou DYJ Enterprise Co., Ltd.
6. Good quality: we have good reputation in the world market. 9. Durable material can meet your requirement efficiently. 10. Competitive price can help for your promotion bussiness very well. 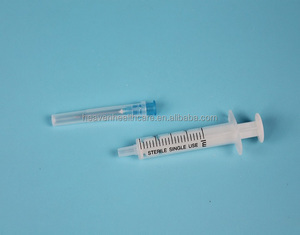 Yangzhou Super Union Import & Export Co., Ltd.
Alibaba.com offers 1,858 2-part syringe products. About 82% of these are injection & puncture instrument, 1% are medical adhesive, and 1% are general medical supplies. 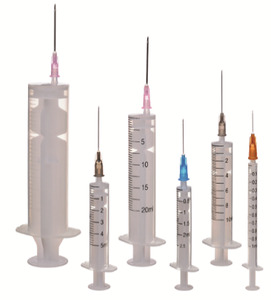 A wide variety of 2-part syringe options are available to you, such as free samples, paid samples. 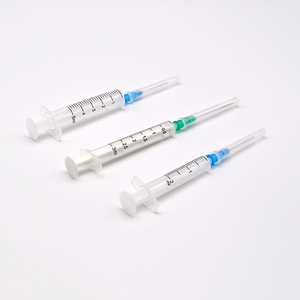 There are 1,780 2-part syringe suppliers, mainly located in Asia. The top supplying countries are China (Mainland), Pakistan, and India, which supply 99%, 1%, and 1% of 2-part syringe respectively. 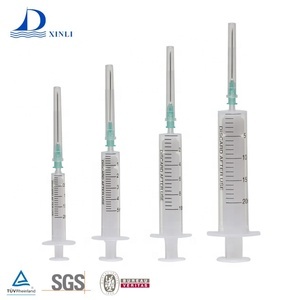 -part syringe products are most popular in Southeast Asia, Mid East, and Africa. You can ensure product safety by selecting from certified suppliers, including 541 with ISO13485, 288 with ISO9001, and 279 with Other certification.